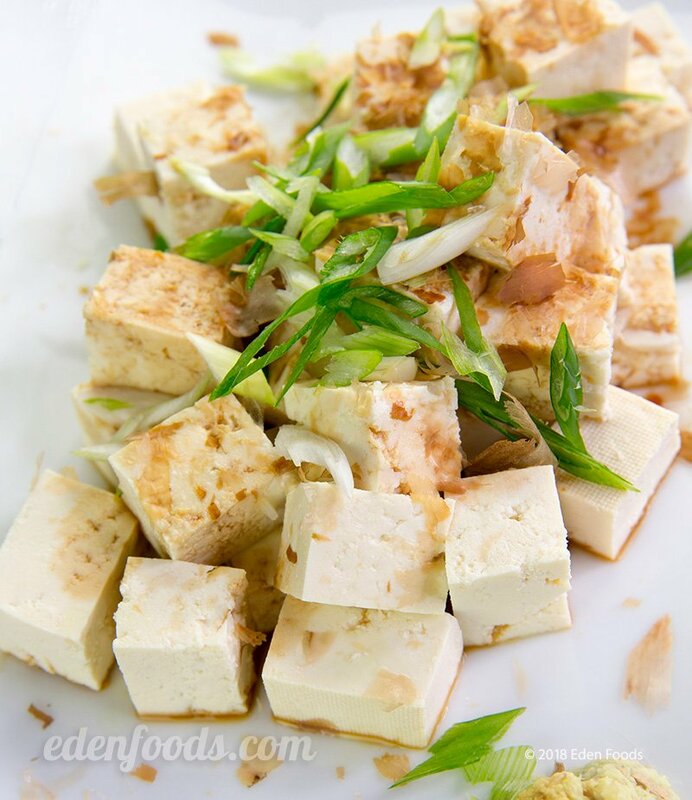 Cut the tofu into 1 inch cubes and place in a serving dish. Garnish with the scallions, ginger root and bonito flakes. Sprinkle the shoyu over. Cooling and refreshing on a hot summers day. The tofu can be steamed for 2 to 3 minutes before garnishing for a winter variation.